GoPro is a common household name to many around the world. The company is especially well-known to those that enjoy adventure and living life in the outdoors. When you think about GoPro, you typically think about their excellent lineup of cameras that capture first-person views. When you’re looking for a camera to attach to your helmet, you’re most likely going to choose the GoPro brand. They have various models, which of course have an array of features as well as price differences. Active sport players, cyclists, and even bungee jumpers enjoy attaching these, typically to their helmet, to allow viewers to see exactly what they see. In 2015, GoPro decided to join the market of UAVs by launching the Karma drone. It made a lot of waves as it entered the market because GoPro already had such a big name and many drone enthusiasts were excited to see exactly what the company could now offer to drone flights. There were a lot of high expectations for GoPro to bring new features and technology to the world of drones. The GoPro Karma drone was enthusiastically welcomed into the market when it was released. For the first drone from the company, it was able to compete along sides of experienced drone manufacturers like DJI. When the Karma was released, it was the first foldable drone on the market. This intrigued buyers since they would be able to transport their drone much easier. The Karma had other features that buyers like as well in addition to being foldable. It also came equipped with a Hero5 camera, which made it incredibly versatile for taking videos and allowed high-quality images to be captured. The camera was also removable from the drone, which meant that you could use it for other hobbies as well. This meant that buyers were actually getting two excellent pieces of technology when they purchased the Karma. Unfortunately, just days after the Karma was released, DJI announced the Mavic Pro. The Mavic Pro was much more compact than the Karma and had a battery life that was much longer. This drew buyers back to DJI that may have initially been interested in the Karma. After multiple recalls and reports of the GoPro Karma falling out of the sky, production was paused. The company fixed the issue, which was a loose battery latch, then re-launched into the market. Unfortunately, at that point, the damage was done and the GoPro Karma’s name was tarnished. Though the company managed to reach the #2 sales position in drones in 2017, the distance to the #1 position was very large. Now after a weak 2017 holiday season, GoPro has laid off hundreds of employees that were in their aerial division and decided to focus strictly on their cameras. They will continue to sell the Karmas until they are out of stock, but do not plan on re-entering the drone market again. You can find a Karma grouped with the new Hero6 camere for around $1000. Go Pro was a good company until they stared to go outside of their scope. The cameras are fantastic. Doesn’t mean you can build a drone. Get back to what you do best and advance your camera product line. 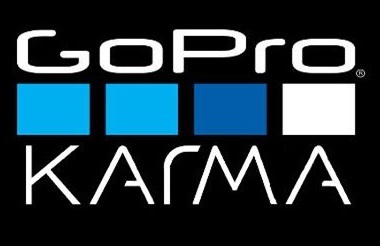 I have many more products I intend to buy from GoPro. So stop screwing around and get back to it. They actually built a fantastic drone – especially for their 1st (and only) attempt – and bundled with the karma grip and camera it was a great deal. In fact for most pilots it was more than enough drone for any photography / recon, and has a vg good and upgradable (buy newer model) camera. It just so happened their rep was hurt by the recall (fixed) and the timing was hurt by the evolution of the DJI improvements that hit the market. DJI had a huge head start that couldn’t be caught and more established competitors like Yuneec also had a committed following that couldn’t be pilfered in the market place, so GoPro’s play was to try to attract attention form GoPro loyalists (a strong market it seemed) and from a diminishing group of first-time drone enthusiasts. For GoPro to come to market with a sophisticated drone first time out was a remarkable achievement. 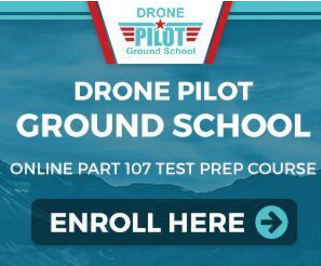 The follow-me feature is not entirely hype for the serious drone flyer (absent on the Karma) but was also not a huge issue at the time it came to market (shortly thereafter it became a huge marketing attention-getter), but the obstacle avoidance (also absent on the Karma)seems to be a very useful feature for most new flyers, and a safeguard for experienced flyers also. The other issue GoPro generally has faced is pricing: Competitors have shown up that offer comparable product for less $ and in different attractive name-brand packaging, and GoPro accessories have always cost a premium. Then there’s the disillusionment of users not actually taking personal footage as you see in the marketing materials. Many GoPro buyers may have loved the idea of being go-getter outdoor types, but some just didn’t get off the couch, and with your weekend footage captured on an sd drove what do you do with it? Invest in the skills to edit it into something more than a few seconds of mediocre scenery? Post it on Youtube along with a million others? GoPro’s entire business model has suffered due to saturation: Stock price high was something like $90 dropping all the way to under $5 = not a sustainable model with strong competition. In the action camera realm they need (and needed) to add to their line-up to sustain investor interest, stock value, gross returns, and public interest. Of note, the Drone market in it’s entirety is almost at irreversible saturation also… look for DJI to take a stock hit as well (is it listed?) and the same goes for the Sports Camera market. Lots of hype will keep it going, but the actual improvements in capability will be mostly hype and re-packaging flavors.